Greetings, dear readers, and happy Saturday! This weekend seems to be flying by at record speed and I have nothing to show for it! I suppose I have been a little busy with testing out new-to-me products, and I've got some swatching done so I must be doing better than I initially thought! I did want to share some of my nail art from earlier in the week with you, so let's check it out! To create this look, I started off with Wedding Gown White from the "All Dressed Up" Duo by Glisten & Glow. 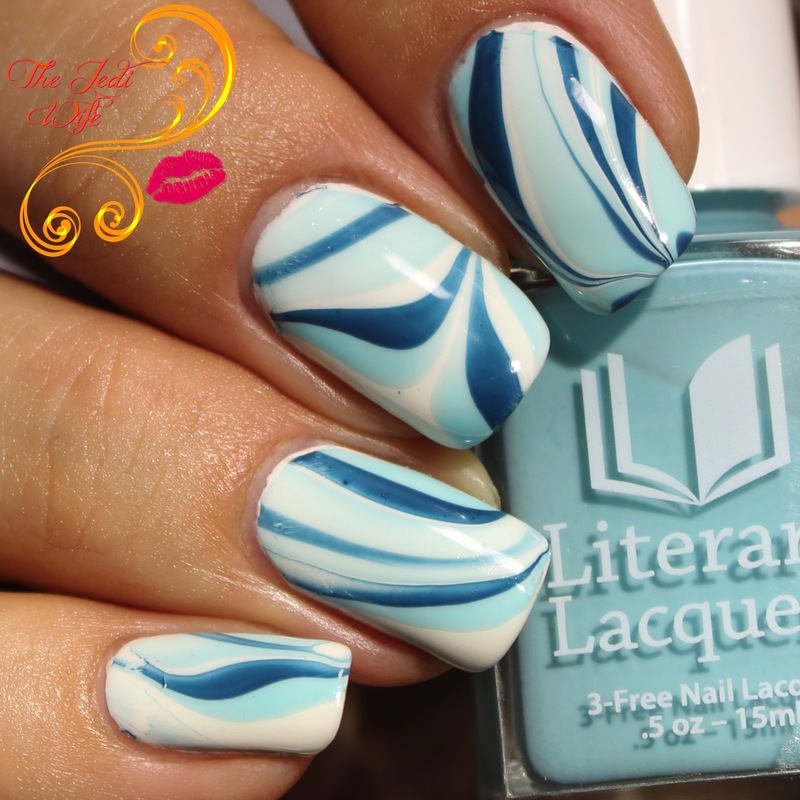 I then watermarbled with Literary Lacquers Desdemona's Handkerchief and Bluestocking Romance with Top Shelf Lacquer Bar Mix- Clear Watermarble. I then topped my nails off with HKGirl Top Coat from Glisten & Glow. I can never seem to decide where I want to dip my nails in my watermarble container, and I always end up with nails looking very different from each other. I suppose that is the tradeoff with actual watermarbling as opposed to stamping with a watermarbled image. I'm still happy with how my nails turned out though! I only seem to watermarble my nails on occasion, and I really need to add the technique into my nail art lineup more often. It's always so much fun to do, and I love the look on the nails! That's all I have for today, dear readers! Until next time, have a wonderful weekend! 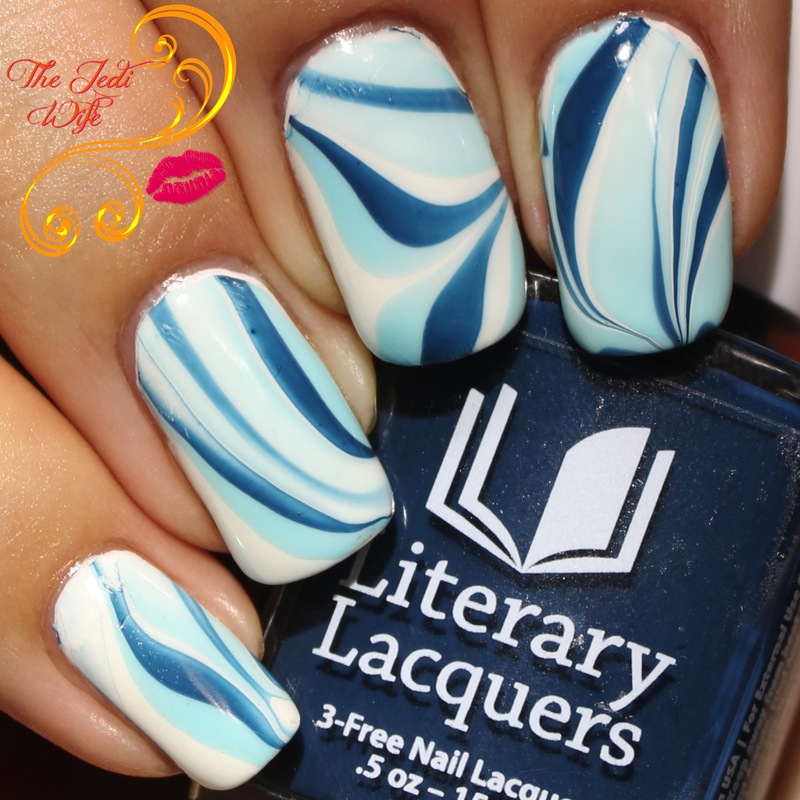 The February 2017 Literary Lacquer Pop Up Shop will open Friday, February 3rd at 8pm MST through Sunday, February 5th at midnight MST. Absolutely lovely - the effect of the different blues is so calming! I adore how these came out! Wow, I love how vibrant this is!Gorgeous!! 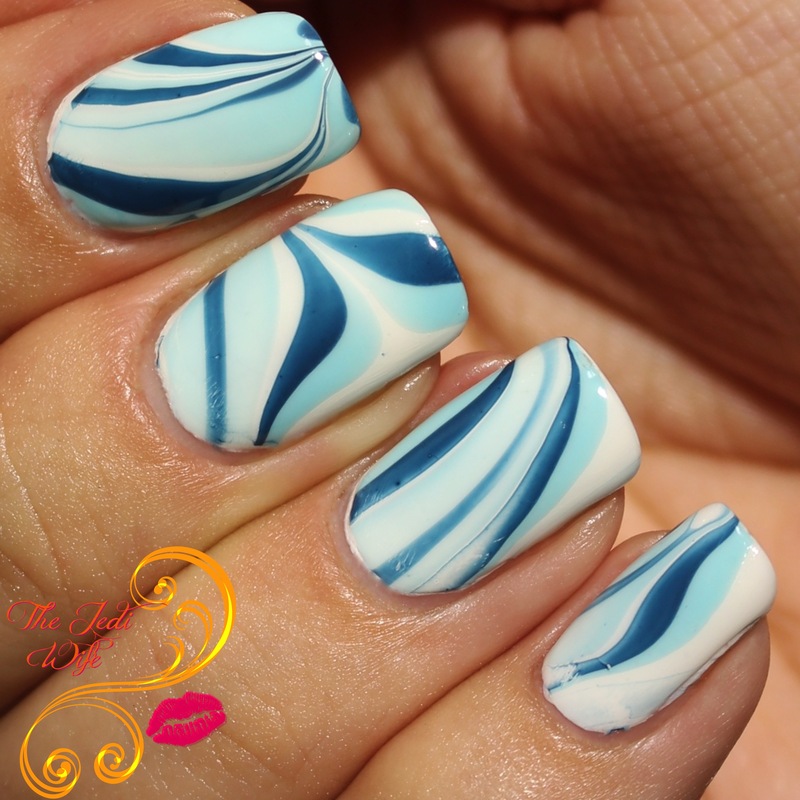 Stunning marbling job! I can never get mine to look this clean. Love this! That color combo is so pretty! This turned out great! I'm with you on the water marbling. Finger placement is always a challenge. Frig, this is gorgeous! I love the blues all paired together, so calming.